We have hit with every drop 5 baseball bat on the market since 2014 through 2018. In the USSSA bat space, we recommend the 2017 DeMarini CF Zen as the best drop 5 baseball bat. This is based on exit speeds and player feedback. Our favorite USABat in the drop 5 is the Beast X. 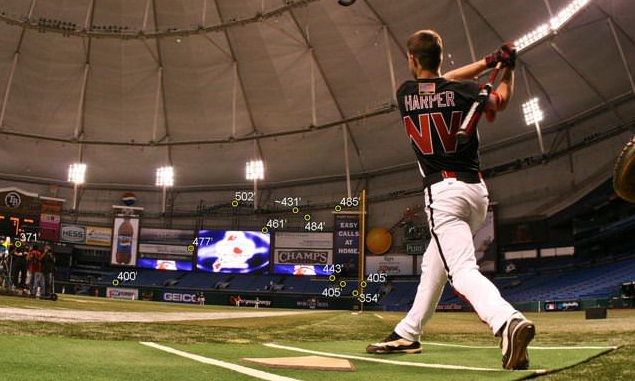 A number are worth your consideration if you are in the market for the best drop 5 baseball bat. We actually think the CF Zen drop 5 should have been banned like its drop 10 and drop 8 cousin bats. But, for whatever reason, the drop 5 made it past the secondary USSSA checks. And, to put it mildly, the bat can absolutely RAKE. If you are in the market for the best drop 5 bat, and are willing to spend what it takes to acquire this bat, then look no further than the 2017 DeMarini CF Zen. This choice is easy for two reasons. First, the Beast X is the progeny of the XL3 from days gone by. Expect good performance, tons of durability and a very good sized barrel. Second, the drop 5 Beast X is just about the only drop 5 in the USA Baseabll Bat world. Rawlings does make a VELO in the drop 5 and Axe has some options, too. And no doubt, both of those bats are interesting competitors to the Easton drop 5 Beast X. But, in such a new world of USABat, we go with what we believe to be the best bet for 2018. This also is not a difficult decision. The CAT 7 is a stiff bat for maximum power transfer to the ball. That stiff feel can also rub the hands the wrong way on mishits but Marucci’s unique knob can take some sting off of it. Those who prefer a durable bat at a more reasonable price point than the CF Zen will be happy with the drop 5 Marucci CAT 7. After hours of testing both in game and in cage, as well as discussing the bat with a number of real players and reading real online reviews, the 2017 CF Zen is a relatively easy choice for the best drop 5 on the market readily available today. The bat is a nice balance, fused with a smooth swing made possible by DeMarini’s proven connective piece. They refer to this process as the D-Fusion handle. The drop 8 version of this bat (the 2 5/8), as well as the drop 10 2 3/4 bat were deemed illegal by USSSA a few months back. Most were surprised to find that the drop 5 was NOT banned. The bat is terribly hot and we have yet to talk with anyone who thinks these bats are anything but absolutely smoking hot. We are going to get a few eye rolls for this choice, but as of this publishing, the MAKO TORQ from 2016 or 2017 is a great deal for an endloaded drop 5. Other bats in the space can make a good case, like the Voodoo EndLoad, but the MAKO has a fantastically large barrel. The fact the older models of TORQs can be found at a steep discount is very tempting—even if the drop 5 2017 CF Zen is on your short list. And if you hate the spinning handle of the TORQ, just go with the MAKO XL version in the drop 5. Our best Drop 5 Aluminum barreled bat may have been the easiest choice. The 2017 Marucci CAT 7 is a beautiful stick built with a lot of direct power and very little flex on contact. Our experience maintains the bat possesses wood like power transfer without the associated ring in the hands due to their ring free knob design. Marucci’s CAT 7, modeled after the CAT 6 and CAT 5, is an upgrade on previous versions with a larger barrel. The CAT 7 is one of our favorites across the board. In today’s market, the best value drop 5 in the USSSA space is the XL3 from Easton. The bat has been produced for several years and each version performs admirably. Add in the fact they are often sold for a fraction of the price as the bats listed above, and these things are hard to pass up. Expect a durable bat with a fantastic endload for the large USSSA player looking for maximum destruction. This is an easy decision considering the 2018 Easton Beast X is one of only a very few bats offered in the drop 5 USABat space. The youth bat 2 1/4 standard of the recent past never produced a real drop 5. They stayed in the drop 9 and 10+ range. But now that Pony baseball, among others, will require the USABat standard for their older players, too, expect the drop 5 market in the USABat space to make some sense. And this Beast X is as good a bet as any. Who Should Use An Endloaded Drop 5? There are many end loaded drop 5 bats that swing with a greater MOI (swing weight) than many BBCOR bats. Meaning, an endloaded drop 5 bat with a BPF 1.15 stamp can be a bigger hitter than any number BBCOR bat. As such, those who hit with an endloaded drop 5 are bomb making hitters that pack serious punch. Who Should Use a Balanced Drop 5? The balanced drop 5 is a conundrum. Indeed, one chooses a drop 5 to get more power because your swing speed has maxed out and the greater weight gives you more power. But, one would use a balanced bat to help increase bat speed and make better contact with the ball. So, a balanced drop 5 creates some logical inconsistencies. appreciate the feel of a balanced bat, but can wield the power of a drop 5.
Who Chooses An Aluminum Barreled Drop 5? An aluminum barreled drop 5 would fit a player who wants hot out of the wrapper performance and more feel through contact. As such, there are a decent number of drop 5 baseball bats that have an aluminum barrel. Most of these bats are end loaded. Some, however, are single piece aluminum bats. Others are hybrids that have a composite handle and an aluminum barrel.